It’s obvious this page is growing, everyday we have more clicks, everyday we have more followers, more friends. 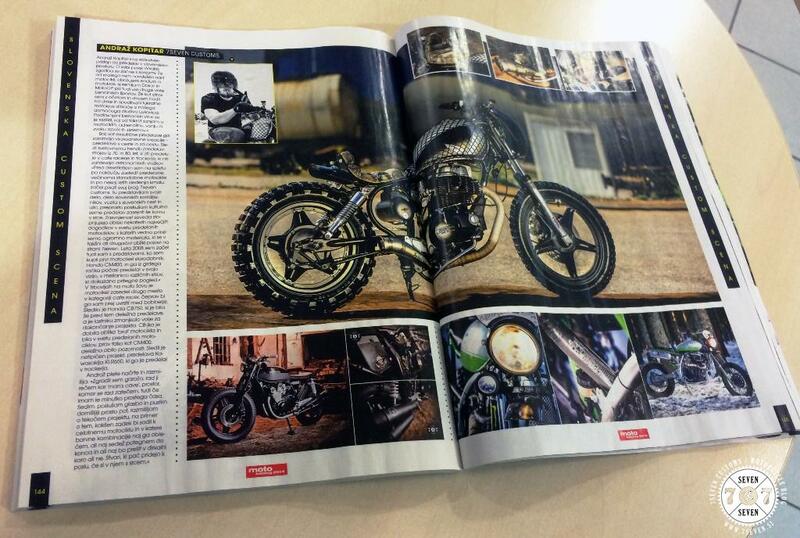 But I’m really happy to see, that people write about 7seven customs in magazines, about this page & about our bikes. Thanks to Primož Jurman we were in Slovenian mag Moto Katalog 2014 (Avto Magazin) represented beside two biggest custom builders Dream machine & Custom North. Glad to see that it’s happening. We have two bikes 4sale: Monster tracker & 77SS.